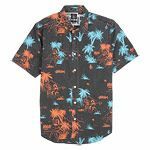 The Volcom Mental Fun shirt is made of 54%cotton/46%nylon. 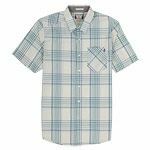 It featues an all over print, a button front closure, and custom logo details. 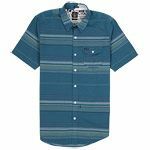 The Volcom Step Stripe t shirt is made of 100% cotton. 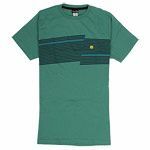 It features a crew neck, a screened stripe print across the chest and a regular fit. 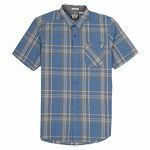 The Volcom Why Factor shirt features a button front closure, a plaid print, and a single chest patch pocket. 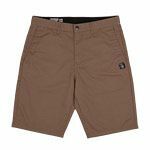 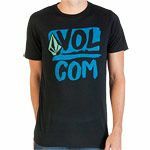 The Volcom Slide Angler t shirt is made of 50%cotton/50%polyester. 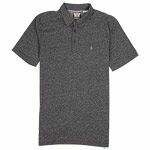 It features a screened logo at the front, a slimmer fit, and a crew neck. 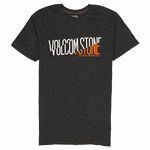 The Volcom Linked Up Stone t shirt features a slim fit and a screened logo at the front.